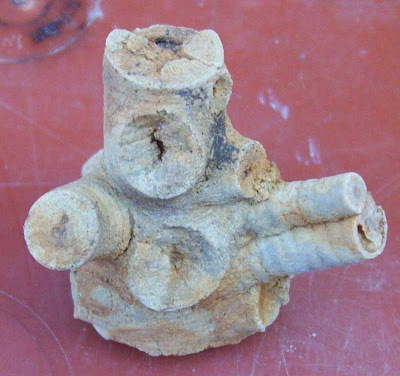 At the last KYANA fossil study, I found this multi-stem Mississippian period crinoid. That is one condensed group of crinoid arms in one place! This one was found in the Lake Cumberland, Kentucky area.